Over The Rainbow Children's Charity » Your Charity of the Year? Your Charity of the Year? Over the Rainbow Children’s Charity does not receive funding from the government, NHS or other source. We rely heavily on the kind donations from the general public and corporate sponsorship. This is why we hope you would consider us to be your CHARITY OF THE YEAR and help us raise the funds to grant the wishes of the children needing specialist equipment. Every disabled child deserve the opportunities to be involved in activities that other children take for granted. 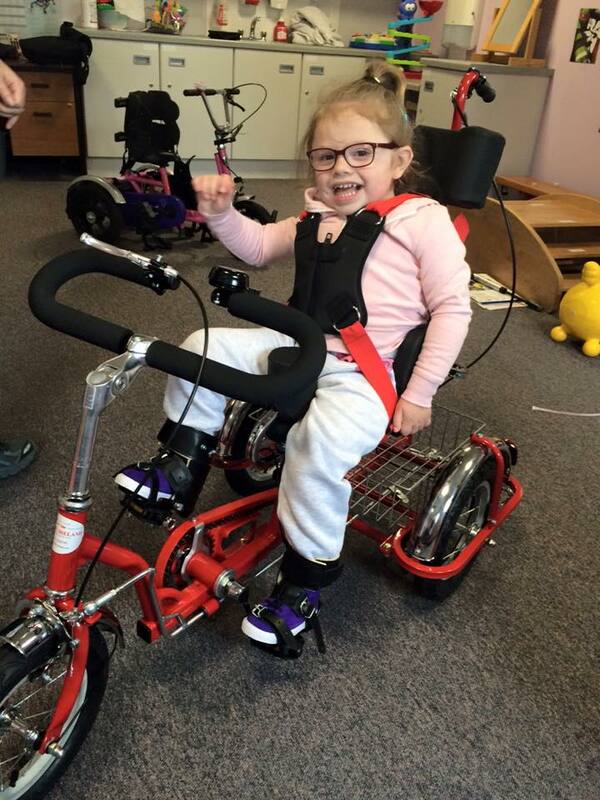 Many disabled children would not be able to ride a ‘standard’ bike for example, so what we can do is fund specially adapted trikes so that disabled children can have same fun just like abled children and enjoy a little independence from their families whilst gaining valuable exercise. Having a wheelchair that fits under their desk at school, can make a huge difference to a child. We fund wheelchairs that can help disabled children stand up and other wheelchairs that are specially adapted for the user’s needs, again allowing for independence. Over the Rainbow Children’s Charity will endeavour to fund any piece of equipment that will improve and enhance the life of a disabled child. This equipment doesn’t come cheap. While a standard bike can be bought for as little as £50, specially adapted trikes cost well in excess of £1,000 and sometimes as much as £2,500 depending on the needs of the child. Specially adapted wheelchairs can run to £10,000, again this is subject to the needs of the child. Whatever you can raise for us, it would help us enormously to fund vital equipment for the children on our waiting list. Website Design and Hosting by www.melbek.co.uk.